The leading Data Recovery Software for Memory Card used by digital camera or phone. It can effectively recover lost, deleted, corrupted or formatted photos, videos, documents, files from various memory card types including SD Card, MicroSD, SDHC, CF (Compact Flash) Card, xD Picture Card, Memory Stick and more. 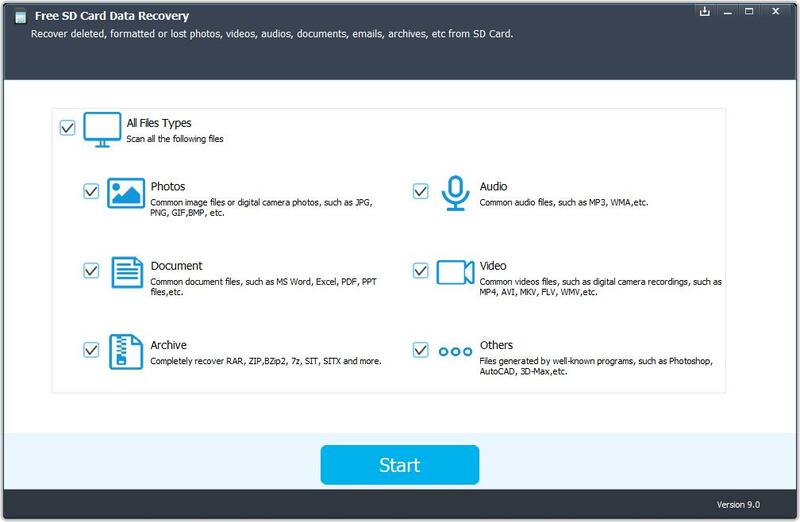 Recovers lost, deleted, corrupted or formatted photos, videos and files. Recover photos, videos, audio files, documents, emails and more. Recover from SD/memory card and mobile phone. Why iLike SD Card Data Recovery? iLike SD Card Data Recovery is designed for SD/memory card used by digital camera or mobile phone. The software performs READ-ONLY operations on your memory card. It doesn't move, delete, or modify the data on the card to avoid causing further damage or overwriting. It recovers photos, videos clips and other files from the source memory card and saves them to the destination location you specify. It allows you to recover data from various cards that made by different manufacturers like SanDisk, Kingston, KingMax, Sony, Lexar, PNY, PQI, Toshiba, Panasonic, FujiFilm, Samsung, Canon, Qmemory, Transcend, Apacer, PRETEC, HITACHI, Olympus, SimpleTech, Viking, OCZ Flash Media, ATP, Delkin Devices, A-Data and more. Photos deleted accidentally or intentionally from memory cards. Photo loss due to formatting or "Delete All" operation. Memory card error or damage, or inaccessible memory card. Corruption due to the card being pulled out while your camera is on. Damage due to turning your camera off during a write/read process. Data corruption due to critical areas damage e.g. FAT/ROOT/BOOT area damage. Data loss due to using between different cameras/computers/devices. Other events that could cause damage to data in card.